Three senior functionaries of the Gorkha Janmukti Yuva Morcha's Kalimpong branch today joined the Trinamul Congress, dealing another blow to Bimal Gurung a day before he was scheduled to start his two-month stay here purportedly to ensure the victory of his party in civic election. Along with the three, 21 Gorkha Janmukti Morcha supporters from ward 21 of Kalimpong Municipality switched to Trinamul in the ruling party's office here. The three leaders of the Yuva Morcha are its Kalimpong branch secretary Binay Ghisingh, assistant secretary Gyatri Mukhia and office secretary Kamal Subba. Ever since the formation of Kalimpong district on February 14, there has been a spate of desertions from the Morcha to Trinamul here. A few days ago, most of the GTA contract workers from Kalimpong had quit the organisation affiliated to Gurung's party. Besides, around 5,000 people from across the hills had joined Trinamul in Kalimpong a day after chief minister Mamata Banerjee had inaugurated the new district. Speaking to reporters after a small programme to welcome the new entrants in the Trinamul office, Ghisingh said the formation of the district was the proof that the chief minister was genuinely interested in the development of the hills. "The chief minister has proved that her development agenda is not hollow. We are convinced that she genuinely wants all-round development of the hills, which is why we have decided to join her party. The Morcha, on the other hand, has done nothing other than playing with the sentiments of the people to remain in power," he said. 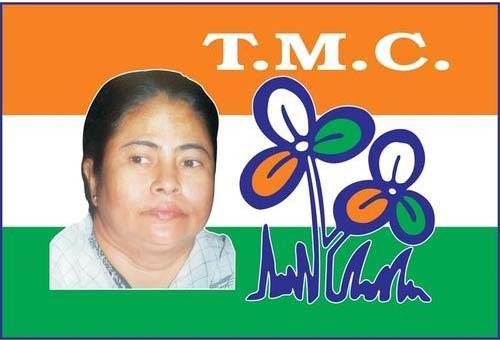 Chewang Bhutia, the working president of Trinamul's Kalimpong unit, said the party had been growing from strength to strength and would be in a position to challenge the Morcha in civic and rural elections. "The Morcha is clearly rattled by the mass desertions. Gurung himself betrayed his panic by announcing his decision to camp in Kalimpong for the next two months. He won't however, be able to change the tide because the people have had enough of his lies and deceit," he said. The Morcha president had said yesterday that he would be staying in Kalimpong for the next two months and return only after ensuring his party's victory in the coming municipality elections.